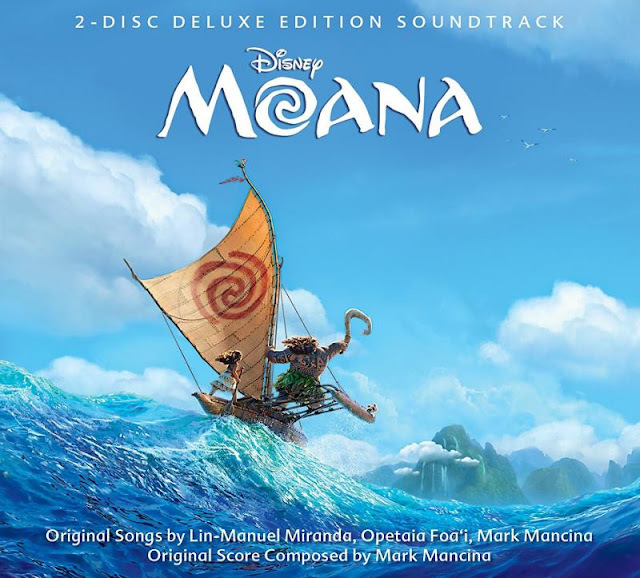 BURBANK, CA – October 24, 2016 -- Set for release on November 18, the Moana original motion picture soundtrack features seven original songs and a full original score, plus two reprises as well as two end-credit versions of songs from the film. Walt Disney Animation Studios’ “Moana” opens in U.S. theaters on Nov. 23, 2016. Written by Miranda and performed by Dwayne Johnson in the film, “You’re Welcome” showcases the colorful personality of Maui. Hollywood Records artist Jordan Fisher teams up with Miranda for the end-credit version of “You’re Welcome.” After a breakout performance in the Emmy® Award-winning production of Grease: Live, Jordan Fisher released his debut single, “All About Us,” which soared to the top of the Billboard Pop charts. Fisher, who recently opened for Alicia Keys at this year’s Apple Music Festival, has joined the Broadway cast of "Hamilton," and is set to release his full-length album in 2017. The Moana soundtrack can be pre-ordered today HERE and a digital pre-order will be available Friday, Oct. 28th. The Moana original motion picture soundtrack features 14 tracks and will be available wherever music is sold and streamed on Nov. 18, 2016. The Moana two-disc deluxe edition and the digital deluxe edition soundtrack, which are also available Nov. 18, feature additional tracks including demos, outtakes and instrumental karaoke tracks. For more information on Walt Disney Records’ releases, like us on Facebook.com/ disneymusic or follow us at Twitter.com/disneymusic and Instagram.com/disneymusic/.